Austrian-born, New York-based graphic designer, typographer and artist Stefan Sagmeister (born 1962) often tests and transgresses the boundary between art and design, through his imaginative implementation of typography. 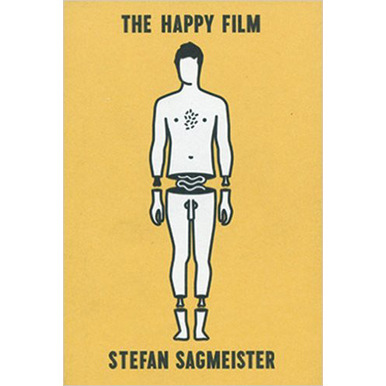 The Happy Film Pitch Book both documents Sagmeister’s touring exhibition, The Happy Show, and anticipates his ongoing feature length film, The Happy Film. 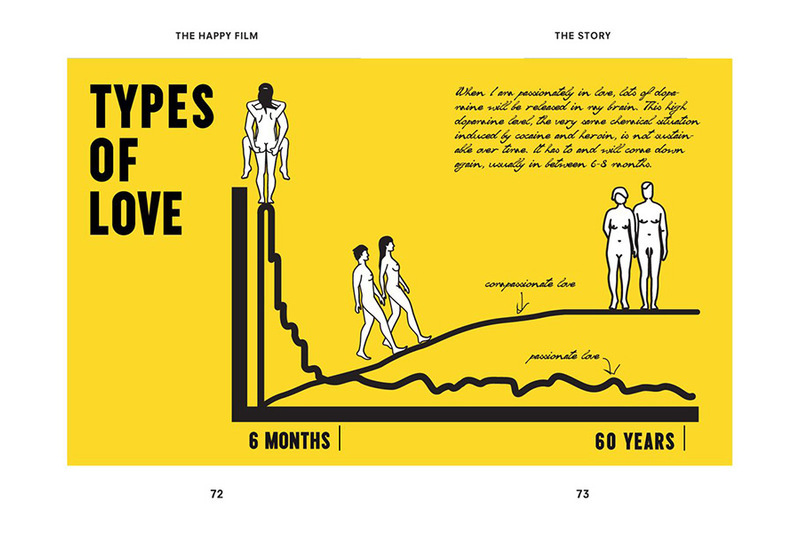 In both projects, Sagmeister undergoes a series of self-experiments (each experiment lasting three months)&mdashwith meditation, cognitive therapy, and mood-altering pharmaceuticals&mdashattempting to improve his personal happiness. “I am usually rather bored with definitions,” Sagmeister says. 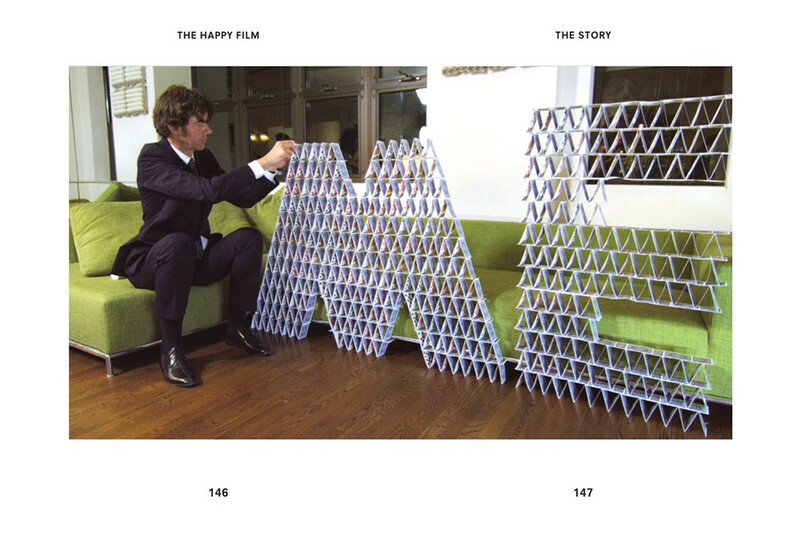 “Happiness, however, is just such a big subject that it might be worth a try to pin it down.” The Happy Show, Sagmeister’s first museum show in the United States, documents his adventures in video, print, infographics, sculpture and interactive installations, most of which were custom-made for this exhibition. 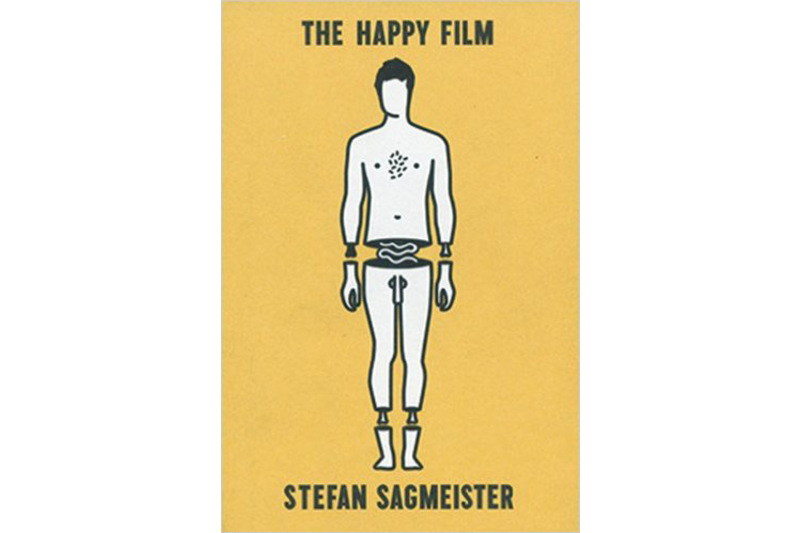 Here, Sagmeister offers his own witty and poignant thoughts and reasons for his ten-year exploration of happiness. 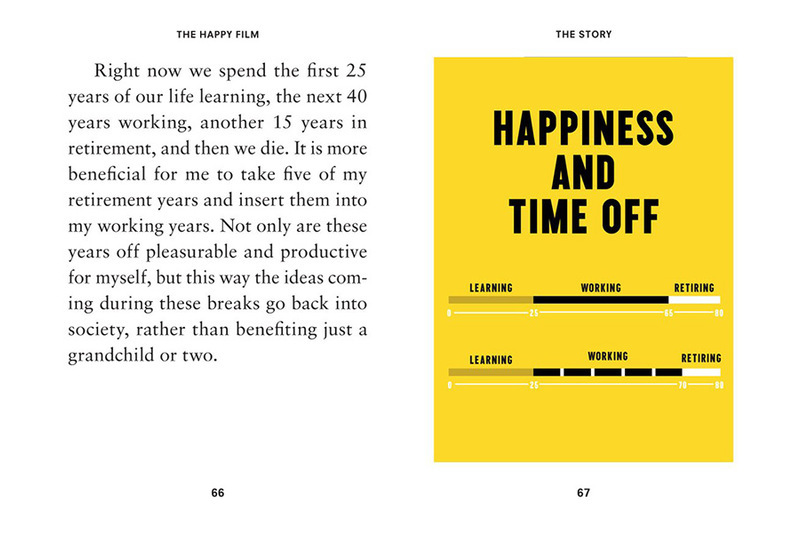 Throughout the book, Sagmeister’s trademark maxims serve as access points to a larger exploration of happiness, its cultural significance, our constant pursuit of it and its notoriously ephemeral nature. 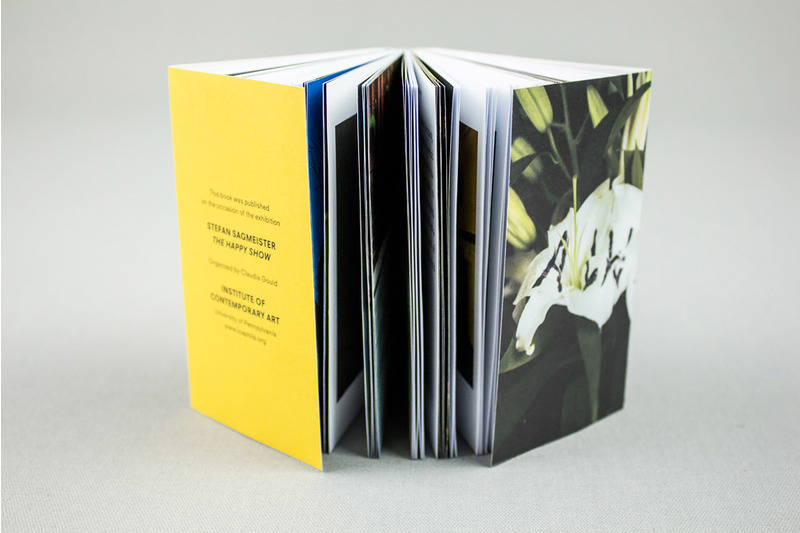 Published for the exhibition STEFAN SAGMEISTER. The Happy Show (28.10.2015–23.3.2016) at the MAK. Edited by the Institute of Contemporary Art, University of Pennsylvania.